Office screens with an acrylic widow. Allows light to pass through while still effectively dividing the space.Choose from three acrylic colours and a large fabric selection. Normal lead time is 3-4 weeks. 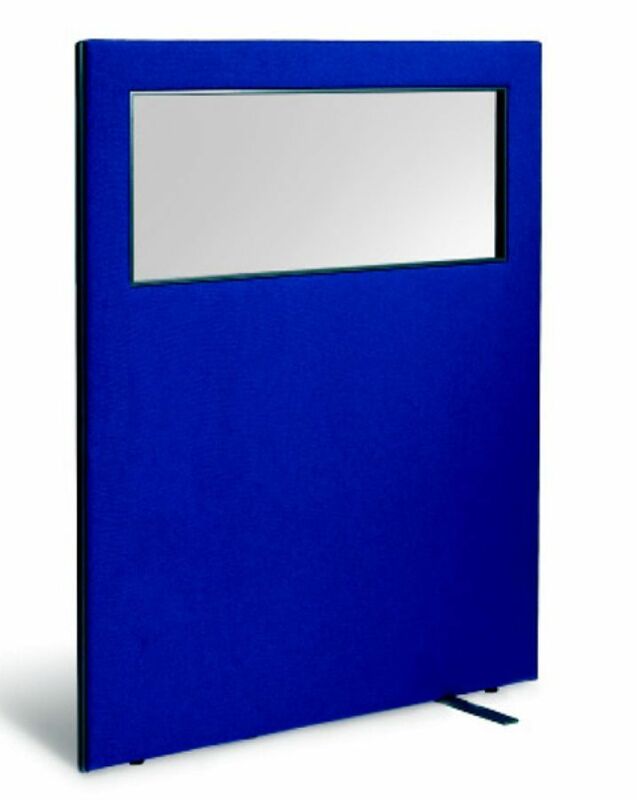 These traditional semi glazed office screens are manufactured in the UK and available on a lead time of 7-10 days. The price includes two support feet for screens that stand alone and one support foot for screens that are linked together. These office screens carry a three year warranty against design and manufacturers faults. 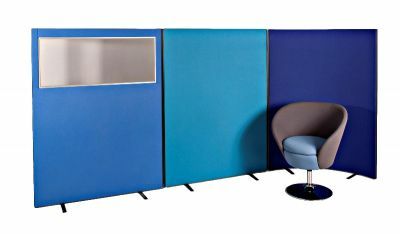 These screens are upholstered in a large selection of colours and are delivered free of charge to any UK mainland address. Not only this, but these screens also features a glazed section in the top half of the screen that is available in 3 different acrylics, Clear, Bronze or Grey.